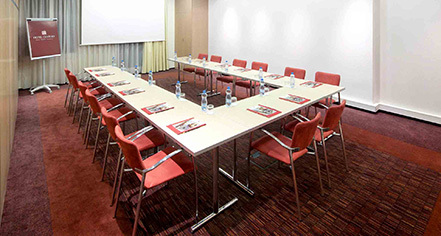 Perfect for smaller groups of 30-90 attendees, the Century Old Town Prague - MGallery by Sofitel boasts three meeting rooms: the Dora, Julie, and Milena. Each meeting space at the hotel features unique views and natural daylight. 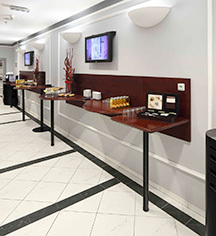 State-of-the-art amenities include WiFi, technical equipment, LCD projectors, screens, and sound systems. Guests will thoroughly enjoy the Dora meeting space, as it includes an outdoor terrace. The meeting rooms can be merged into one space that can accommodate up to 90 guests. The hotel’s meeting spaces pay homage to Kafka’s influence, as they are named after three of his close friends.